Espuela is a mystery. No evidence of a town appears – only the lonesome graveyard. 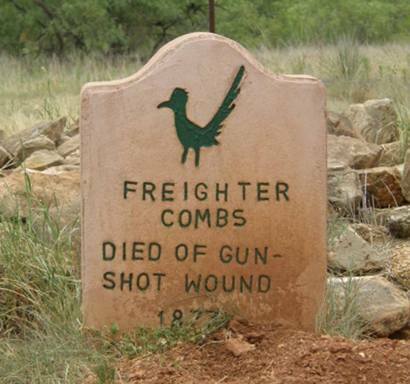 A tiny cross on the Dickens County TxDoT map shows the cemetery – although it doesn’t even hint at the desolateness of the site. 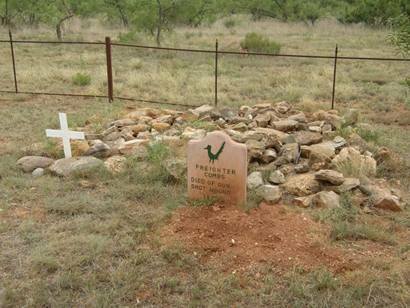 There was an Espuela Ranch, so it is possible that the cemetery was a convenient interment for ranch hands and cowboys. 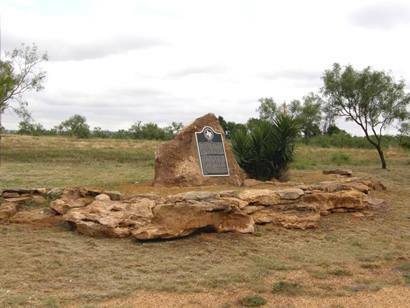 In 1870, J. H. Parrish built a dugout on the west bank of Duck Creek a half-mile southeast of this site. He farmed and established a small store serving travelers and, later, cattlemen and buffalo hunters. As the last of the Native American tribes left this area in 1876, commercial buffalo hunters moved into the region. They left tens of thousands of buffalo carcasses in their wake. From 1879 to 1884, this area was free range land for 30 cattle outfits. 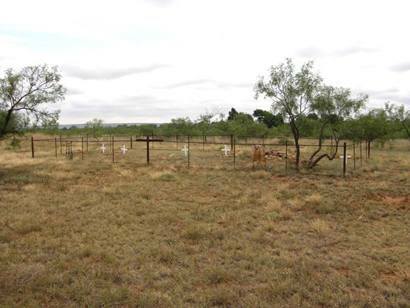 The Espuela Land & Cattle Company purchased most of the free lands and 20 sections of public domain territory from the state, fencing 569,120 acres. The company purchased most of the free range cattle, and located their headquarters about two miles west of what became the Espuela townsite. By the mid-1880s, the community that had begun with Parrish's small store was the largest in the county. Parrish platted the town and became its first postmaster in 1883. A one-room schoolhouse replaced a dugout already in use by the children and their teacher. Dickens County was created that year, and Espuela became first the temporary and then the permanent county seat. In summer 1891 the town boasted a gristmill, blacksmith shop, several stores, a hotel, a bootmaker, a saloon, a newspaper, civic organizations and a cotton gin. Neither a courthouse nor a jail were ever erected. On March 8, 1892, another election was held because of boundary issues surrounding Espuela, and Dickens was voted the county seat. 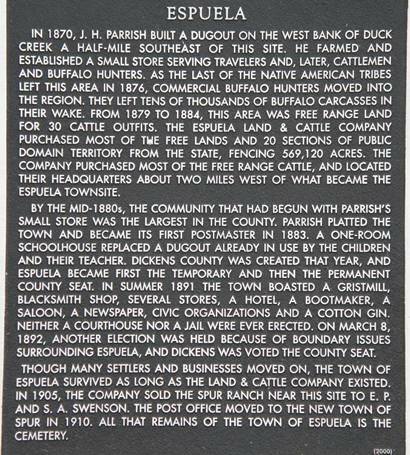 Though many settlers and businesses moved on, the town of Espuela survived as long as the Land & Cattle Company existed. In 1905, the company sold the Spur Ranch near this site to E. P. and S. A. Swenson. The post office moved to the new town of Spur in 1910. All that remains of the town of Espuela is the cemetery.